Seffner Christian Academy has hosted the Crusader Gallop 5K over the past four years as a fundraiser for the school's athletic department. 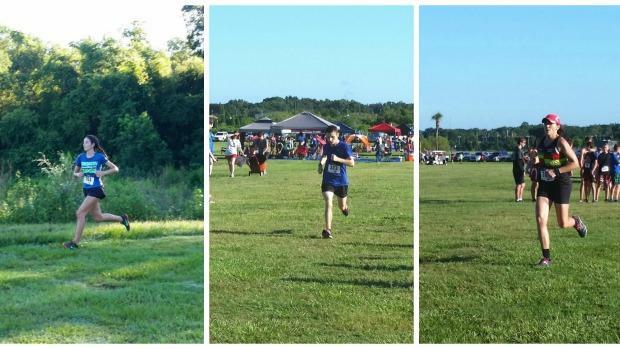 Saturday, the event switched from Sydney Dover Trails to Holloway Park, one of the hardest courses in the state of Florida. SCA Coach Andy Holmes says the event which was open to all ages was the largest ever with over 230 runners, nearly 70 more than in the past three. "We had two races, a male and female race. I probably enjoy seeing where kids are on a tougher course to start season kind of like the Citrus Summer Showdown." Holmes describe the course as hot and wet with Micaela Torres of King High School winning in a time of 20:30. Recent Shorecrest Prep graduate and incoming UNC freshman Luke Peterson took home the boys title in 17:40. 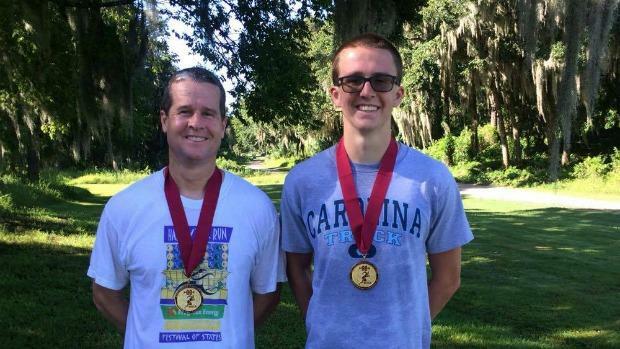 For Peterson, he was able to compete the course with his father who won the 55-59 age group and was running as part of his marathon training. "I tagged along for a stretch out before I leave tomorrow. It made me appreciate not having to run at Holloway anymore. It was hot, muddy, and just as tough as I remembered it!" Behind Peterson, the 1A state champion in the 800, 1,600, and anchor of his team's winning 4x800m relay, was Wharton's Casey Pleune, the Middle School State champion in the 3k, was second behind Peterson in the boys race with an impressive 18:16. Torres, returns for her senior year at King, after placing 27th at the 3A Cross Country Finals. She ran the same Holloway Park course twice last year and clocked times of 21:23.70 and 20:08.13 at the regional meet. Afterwards, she said it was a great race to start off the season. "I felt pretty comfortable despite the muddy course and I'm looking forward to racing with some great competition in the next few weeks in order to get my time down for districts, regions, and states." Coach Holmes says Torres along with Pleune were two athletes who stood out to him. "I'd definitely say Micaela Torres the girl's winner with a great time to start season. Also, watch out for Casey Pleune from Wharton. Torres is at least back from where she was last season. The course was especially slow and muddy today. He was the MS State 3k track champion and may be Wharton's number one runner as a freshman or close to it." Seffner Christian will host their home invitational which will feature nearly 75 teams on September 10th at Holloway Park.